International Championship Cup: FC Barcelona Vs Real Madrid Live Stream Schedule The El Classico Returns, Fans Hits the Frenzy. Real Madrid and FC Barcelona will face each other in International Championship Cup. The face off between these two giant footballing club is known as El Classico. This is a pre-season friendly match so called as El Classico-lite. Sportsfeista brings you FC Barcelona Vs Real Madrid Live Stream and schedule information. The match will take place in the United States. Out of the total 17 matches, 12 are in the US. FC Barcelona Vs Real Madrid match will take place in Miami Florida on Saturday 29, July 2017. The match timing is 8:05 PM EST local time. The stadium for this El Classico encounter is Hard Rock, Stadium of Miami which has the capacity of around 65,000. FC Barcelona Vs Real Madrid Live stream available on Sony Liv. For the UK viewers match is available on Premier Sports. It will telecast on Sunday 1:05 am BST. For Indian viewers telecast rights are with Sony Network and the match will telecast on Sunday, 5:30 am IST. Whenever Real Madrid and Barcelona meet it becomes a matter of pride. So, Miami Classico is termed as El Classico lite, it will be full of action. Barcelona has an upper hand as Real is coming with a long busy season and they are out here without the charismatic CR 7. Christiano Ronaldo is on holiday and will not be the part of the team. 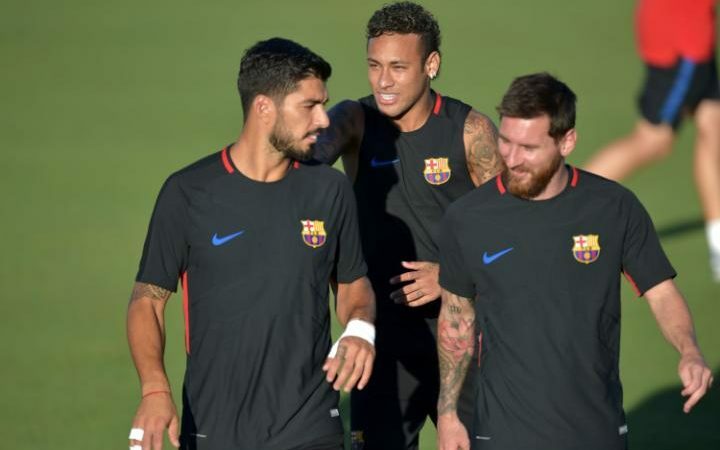 Barcelona, on the other hand, will have the services available of Neymar, Messi and Luis Saurez. But the controversy around their star player Neymar might hurt the team balance. Neymar speculated to leave Barca for multi million deal of PSG.